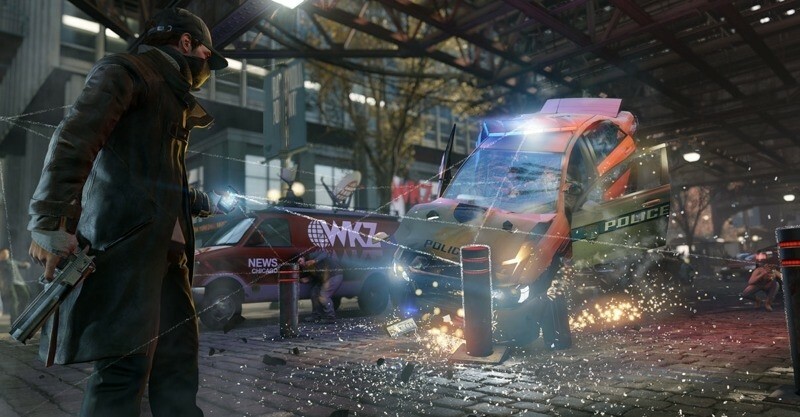 Set in an alternate reality techno-dystopian Chicago, Watch Dogs hit every gamer's holiday wishlist after appearing at E3 2012. The open world hackfest wowed onlookers with its urban stealth action and its seemingly 'next-gen' graphics, built on the studio's new 'Disrupt' engine. Although there was a lot of controversy surrounding Watch Dog's graphics approaching its launch, ultimately the game looks amazing when set to ultra on the PC. Ubisoft Massive claims The Division PC version "won't be a port"
Equipped with his iconic night vision goggles and a new counter-terror agency, Sam Fisher has returned to foil another anti-US plot in Ubisoft's sixth Splinter Cell game. Blacklist attempts to find a better balance between stealth and action than its predecessor while reintroducing some franchise favorites. PC gamers can look forward to a typical array of graphics options including TXAA antialiasing, soft shadows, horizon-based ambient occlusion and advanced DX11 tessellation -- all of which we plan to test with nearly two dozen graphics setups and a handful of processors. "The game is stupid," Far Cry 3: Blood Dragon creative director Dean Evans proudly proclaimed during a recent press event — not foolish pride, but pride in foolishness. Ubisoft has done great and terrible things with the game engine, transforming it into a nightmare world, where wild boars roam the purple plains, backs covered with neon graffiti. Blood Dragon's story unfolds through a series of 2D cutscenes that wouldn't be out-of-place in an NES-era adventure. And when those scenes end, it's into a day-glo nightmare from the early days of MTV.